﻿ Instrumental Success | Levy’s Machine Works Ltd. 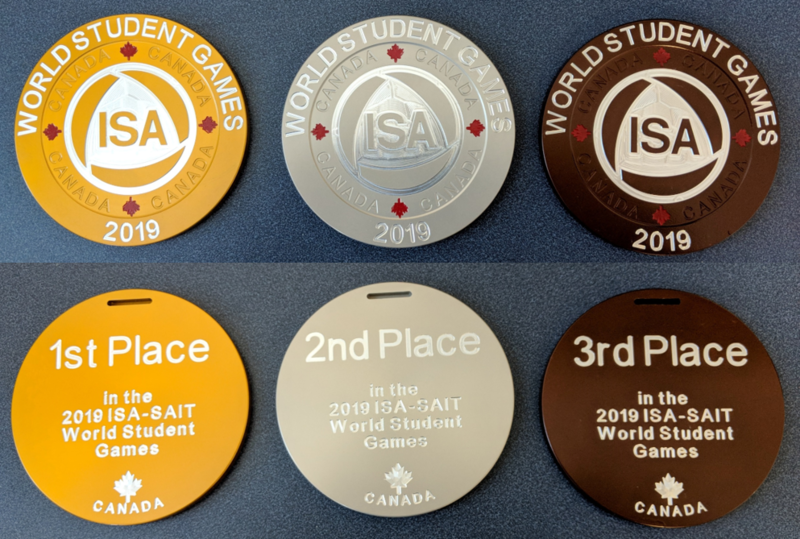 The ISA-SAIT World Student Games provide students with the opportunity to apply their knowledge in practical instrumentation scenario, afford students the opportunity to meet, network and collaborate with other individuals in their field and, of course, enables them to have some fun. Levy’s Machine Works was proud to sponsor the 7th annual event, held in March at the Southern Alberta Institute of Technology (SAIT) in Calgary, by manufacturing and providing the winners medals. 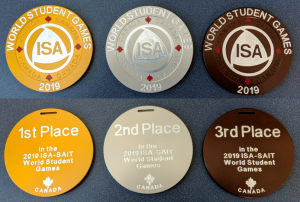 The student games were attended by students from some 16 different educational institutions from around the globe, including colleges in Spain, Ireland, India, the U.S. and, of course, various provinces in Canada. The event is not an inter-school competition but rather a team event with each team comprising one SAIT student and three students from various other institutions. Over the three-day period each team completed six challenges intended to test students on various principles of instrumentation and included aspects such as analyzers, device maintenance, distributed control systems and loop tuning. Each challenge was three hours long with several challenges being split into four smaller subtasks and the teams rotating around these stations over the three-hour period. Teams were marked based on their technical prowess, teamwork/communication, and ability to fulfill the challenge’s goal, with the most successful picking up the gold, silver and bronze medals courtesy of Levy’s.